Funnel cake or elephant ear. We are a house divided. 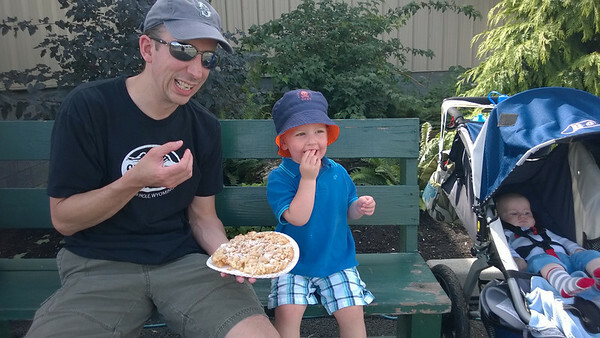 Daddy loves the funnel cake and used the argument it originated where Pop-pop grew up to make it Cooper’s first sweet fair food. 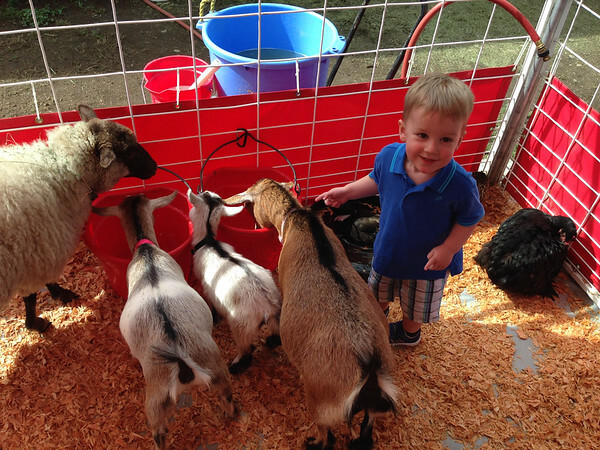 New this year at the fair was the petting farm. It took a little bit, but Cooper worked up to petting a couple of the animals and loved watching them all from a distance even more. 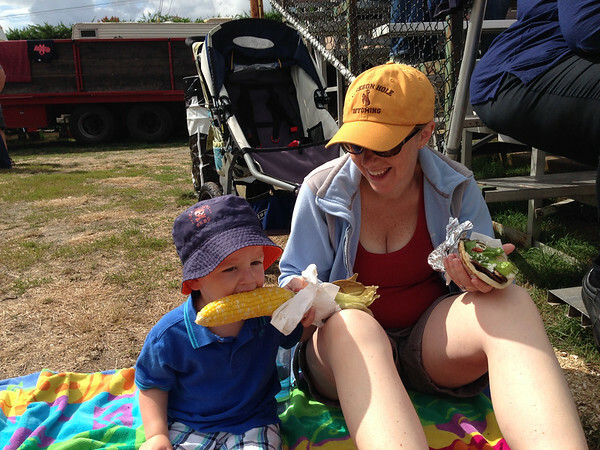 My second favorite fair food is corn on the cob and Cooper loved it too. We were a match when it came to lunch time meal sharing, the gyro and corn were a hit with both of us. 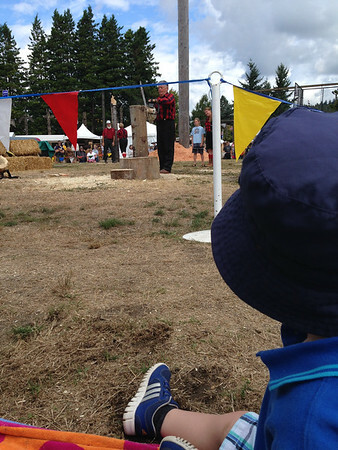 After wondering the fair for a while we decided to stop for lunch and a little rest while watching the logger show. I loved watching this as a kid and it was really fun to get to share the experience with my own family. We wrapped up our fair experience visiting the 4H animals. The bunnies were the biggest hit with Cooper.